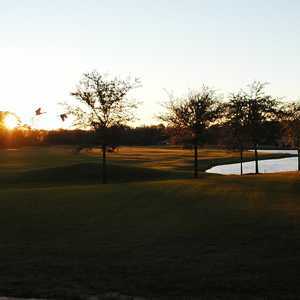 Tampa Bay Golf and Country Club is tough, but worth the drive north to San Antonio, Fla.
SAN ANTONIO, Fla. -- If you want a great round of golf and don't mind doing a lot of driving around the course, Tampa Bay Golf and Country Club is a great deal. Tampa Bay Golf and Country Club is about a 45-minute drive from the Tampa International Airport -- but it's worth the trip. Tampa Bay Golf & Country Club is the centerpiece of an active adult community that is conveniently situated just north of downtown Tampa, only 25 miles from the Gulf of Mexico. It's less than an hour from all of Florida's major attractions including Disney and Universal Studios. There is both an 18-hole championship course and a nine-hole executive golf course available. The championship course measures to 5,982 yards, which is seemingly short by modern standards, but it is routed through a diverse landscape of lakes and conservation areas that will make you forget about any lack of length. It's about a 45-minute drive from the Tampa International Airport, but it's worth the trip. The golf course is built around a housing community and several of the holes are separated by some longer drives than anything Bubba Watson can pull off. The course itself is in excellent shape and is in a surprisingly large area of championship courses, despite its distant location. So if you don't mind spending a lot of time driving through the meandering neighborhoods looking for directional signs to the next hole, this course is worth the time. The Dale Whittington-designed course has a Scottish-links feel to it and some of the toughest, fastest greens in all of Tampa Bay. The fairways are tight, which makes it quite a challenge. Houses can come into play on errant shots, and water is a factor on nearly every hole. "The course is in great shape and we work hard to make sure that everyone feels welcome," said Paul Ascioti, the general manager at Tampa Bay Golf and Country Club. "The course is tough and fair, and it is getting better all the time." Due to the amount of water on the course, bring a few extra sleeves of golf balls and make sure to spend some time on the club's driving range. The course only goes 6,210 yards from the tips, but the water and the doglegs make it a real challenge. There is trouble right from the start. The first hole is a 389-yard par 4 with a tight fairway and two lakes on the left. You can try to drive over the lakes, but the landing area is very narrow and the green is tight. The second isn't much easier. At 506 yards, it is by far the longest hole on the course with water on the left and beyond the green. A perfect drive gives you a chance to reach the green in two, but sometimes it pays to be conservative, especially when the first two holes are among the toughest on the course. It gets a little quirky after that. There are three par 3s on the next four holes. The third is the longest at 205 yards over water, and the fourth is a benign 132-yard pitch with little worries. The sixth is the final -- and toughest -- par 3 on the front side, a 178-yard carry over water. The back nine is longer and more difficult. The 13th, a 366-yard par 4, is the No. 1 handicap home on the course. It is a dogleg left with a long carry over water to another tight landing area. Make it to the fairway off the drive, and then either reach the small green or battle with the rough because the fairway is extremely tight. No. 18 is a cruel hole to end the round. It's only a 408-yard par 4, but there is a severe dogleg left with water on the drive and the approach. It's a tough hole to end a tough round, but if you have the guts, this course is worth it. If you want a nice warm-up, there is a nine-hole, par-3 course at Tampa Bay Golf and Country Club that is more challenging than most executive courses. San Antonio might be out of the way, but it's worth the trip. 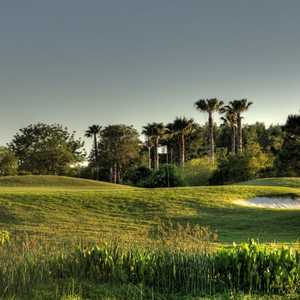 There are no hotels and very little dining, but within a short distance of the Tampa Bay Golf and Country Club are several other fine courses, including Lexington Oaks Golf Club and the Saddlebrook Resort. "We stay in Tampa and play the Tampa courses," said visitor Brad Jodsmith of Miami. "But we never miss playing here. Yeah, it's out of the way, but it's worth the trip." Tampa Bay Golf and Country Club is in great shape, and it's worth spending a few days at Saddlebrook, playing its two courses, as well. There is no nightlife and little lodging, but if you like quality golf away from the big cities of Orlando and Tampa, it's worth the drive to San Antonio.